We have developed unique car reservation system, addon for travel technology development. 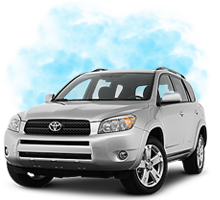 This car reservation plugin can be integrated with your portal allowing your customer or travel agents to hire car. Our reservation software will integrate with many payment gateways, cloud-based, mailing list managers, CMS and accounting systems. We also have an open API which Enable your B2C customers to hire cars on the fly and attract them with many more options like e-wallet, refer friend, instant bonus and more. The portal can be integrated with Android and iPhone apps to enable your B2C customers to book tickets online. Only Finetech's Online Booking System has so many Integrations. We are one of the technical partner with Clearcarrental API programme. The system is integrated with car search,select, booking, ticket, B2B and B2C. The user or agent searches car service from Source - Destination. Your website will display cars to hire. Once the selection is done, your customer will enter their information for booking. The B2B platform enables you to share your business with travel agent. This integrated platform enables you to enter commission and markup on each ticket they book. The reservation system is integrated with our B2C platform enabling B2C booking system within the portal. This B2C system is having markup, commission.